Who says the great outdoors isn’t made for luxury living? 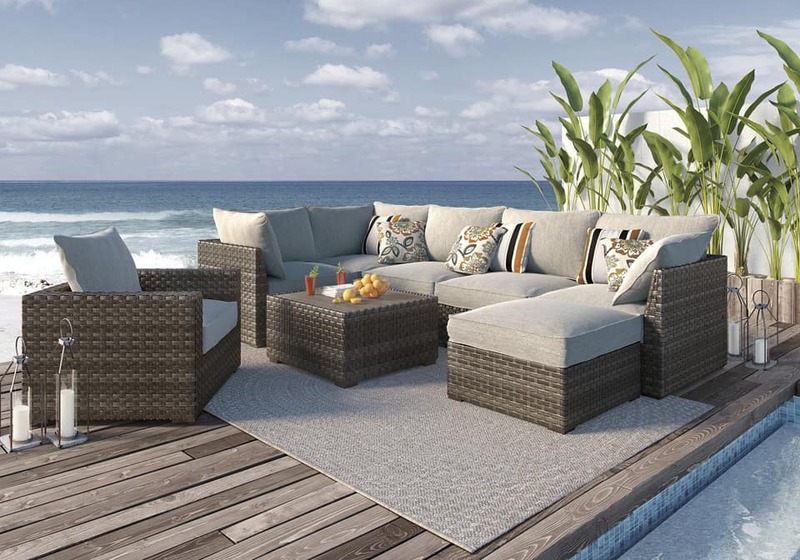 The Spring Dew 8-piece outdoor sectional set offers all high-end design, plush comfort and durability you could ask for, and then some. This outdoor sectional’s curved cornering beautifully goes with the flow. All-weather, rust-proof aluminum frame provides the easy-breezy wicker look you love without the high maintenance. Rest assured, the high performing Nuvella™ fabric is made to stand up to the elements.